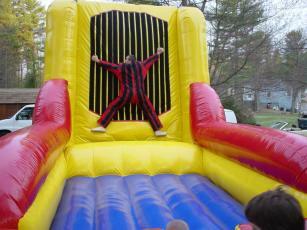 MA Moonwalks, Jumpers and Bounce Houses. Welcome to MA Moonwalks, bounce house and jumpers home page. 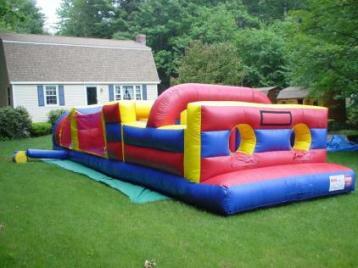 We offer MA, NH and New England’s finest inflatable games and Bounce Houses. MA Moonwalks stocks over 30 unique items for all your party and event rental needs. MA Moonwalks is committed to providing a fun safe and interactive environment for all ages. We have 20 years of experience in party and event planning. If you need a Moonwalk, inflatable game or interactive novelty entertainment let MA Moonwalks entertain at your next event. 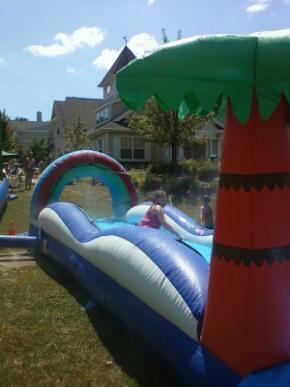 All of our Moonwalks and Inflatable games are cleaned and checked before each rental. We also are fully insured and DPS licensed for each unit that requires it. MA Moonwalks is also pleased to offer fully attended rentals for each party. Don’t be fooled by our competitors. Moonwalks and inflatable rides can be dangerous if not properly run and supervised, not to mention setup and delivery of each Bounce House or ride unit. By MA Moonwalks providing an attendant at each rental it provides our clients with piece of mind that an additional set of trained eyes are present at your event insuring everyone has a safe and comfortable time. We are also pleased to announce our full Disc Jockey service that can added to any party package to complement it with DJ music, games, lights and anything else to add excitement to an event. Please look through our website and view our photos for a more detailed description. Call us anytime or email to discuss your event in details today. New Jumbo 65 ft Obstacle Course. 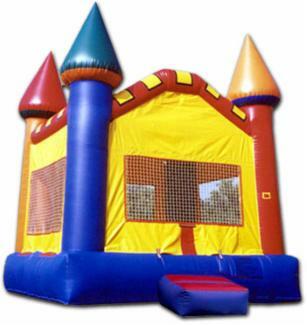 Standard 15x15 Bounce Castle Industrial grade. 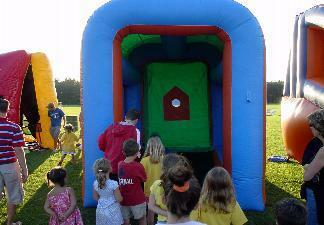 At MA Moonwalks we stock a variety of inflatable bouncers and game units. 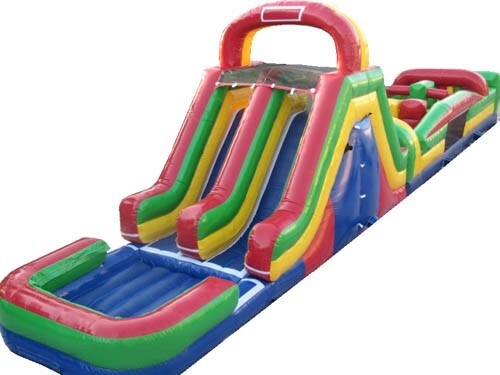 Some of these interactive units include such items as Velcro Walls, Bounce Houses, Obstacle courses, Twister games, Sports games, Carnival game units and tents, Water units, baseball inflatable units with radar displays, large 15ft toss game units, floating ball toss games, classic basketball toss, inflatable movie screens and movie nights, inflatable cash cubes and more. MA Moonwalks also stocks many other rental items and services that are non inflatable units in nature such as table top video games, arcade games, cotton candy machines, popcorn units, fresh sno cones, concession units, full Disc Jockey systems with sound and lights, karaoke systems, video dance screens and music videos, Dance, Dance Revolution game with LCD tv, DDR game and pads, DJ recording studio, Make your own CD’s, multiple carnival game tents, palm readers, magicians, black light dance parties, Laser light shows, Multiple Game show systems, Jeopardy version, Deal or No deal version, Trivia Squares version, Have a Ball game show and more. Planning a party or event today is more complicated than ever. You are faced with so many choices and options for your event that it can seem overwhelming at times. Not to mention all the companies to choose from. Well let MA Moonwalks make your choice a little clearer on where to start. Right Here of course! First you have found a company with over 25 years of party planning success at all levels. We first started off doing Disc Jockeys in the early 80’s when the Disco music was just coming over from Europe and beyond. 25 years later we have expanded our services to almost all facets of novelty and party planning equipment. MA Moonwalks is one of the few companies in New England that truly can incorporate music, DJ’s, games, inflatable’s and anything else into one party smoothly. Most companies like to drop and leave their equipment and pick it up at 5pm. Not at MA Moonwalks we stay with our units and can even entertain your guests if desired with a number of games and activities. This gives everyone piece of mind and safety. Most of our setups include 2 staff members trained in all operations and setup procedures. You will also be please to know that our moonwalks, bounce houses and all our equipment is cleaned and disinfected before and after each function. You will actually see our staff cleaning the surface of these units at your event and seeing is believing. We also regularly pressure wash our inflatable units at our office for a top to bottom clean. We believe that cleanliness is top concern and believe us when we say there are units out there dirtier than the bottom of your shoe and your guests are climbing it! Yuck. Not at MA Moonwalks. Like us on Facebook for Special Discounts.